Once complete in fall 2019, the building will stand at 154,000 sq. ft., and will consolidate 11 of the University's programs, which are currently housed at 5 different buildings on two separate campuses. Virginia Commonwealth University (VCU) celebrated a construction milestone with a topping-out ceremony at the site of its new School of Allied Health Professionals building in Richmond, Va., Oct. 16. 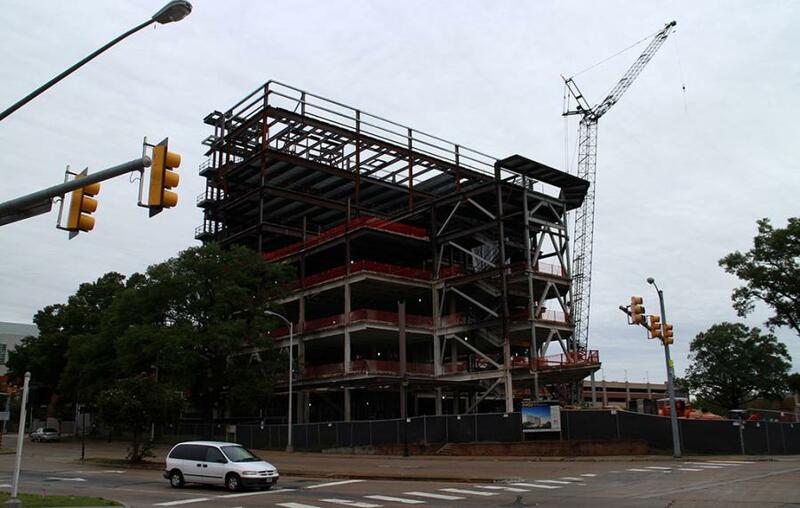 The ceremony recognized the placement of the $87.3 million building's highest beam, which was signed by VCU students and staff before being put into place by construction company Whiting Turner, Richmond BizSense reported. Once complete in fall 2019, the building will stand at 154,000 sq. ft., and will consolidate 11 of the University's programs, which are currently housed at 5 different buildings on two separate campuses. “(This facility) will give us the opportunity, and I say 'us' because I'm a member of the faculty as well, it will give us a chance to be together,” said Michael Rao, VCU's president. The State of Virginia will pay for most of the building's construction, with university-supported debt covering the remaining $10.8 million, Richmond BizSense reported. VCU Health is planning the construction of yet another facility across the street as well. A six-to-eight-story, $348 million adult outpatient facility will replace the Virginia Treatment Center for Children. In turn, the Center for Children will relocate to a $56 million pediatric psychiatric facility currently under construction at the Children's Hospital of Richmond at VCU, Richmond BizSense reported.